The Neopost IM-16C Letter Opener is an office friendly envelope opening device that maximizes your productivity by allowing you to distribute incoming mail faster throughout your organization. 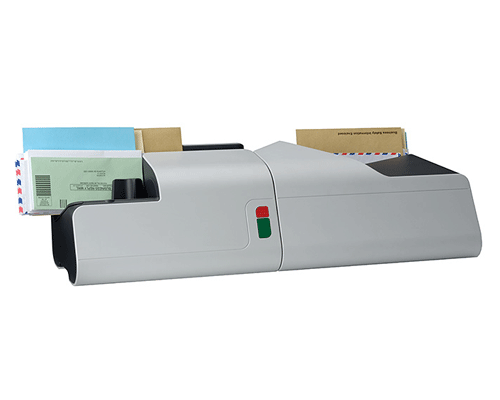 Whether processing checks, orders, remittance pieces or any incoming mail, the IM-16C opens various envelope types, saves time, leaves no waste and protects valuable contents. Productivity – Quickly open mixed mail with speeds up to 300 envelopes per minute – without pre-sorting or envelope scraps. Keep track of daily usage with a built in resettable counter. 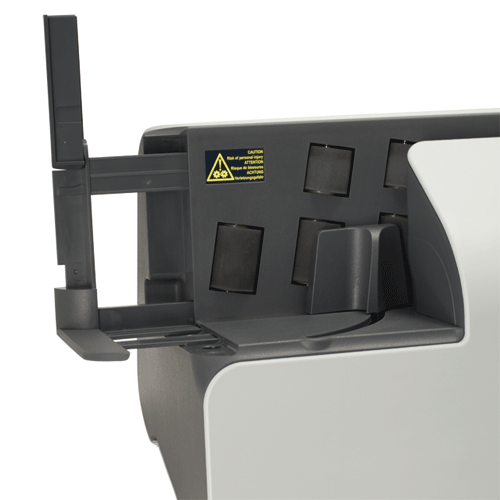 The machine also has a jam detection and an empty feeder detection that automatically shuts off the letter opener if either of these occur.